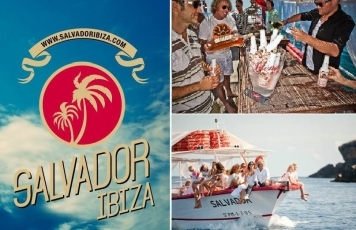 Salvador Ibiza has something to offer everyone with sailing, snorkelling,SUP's, kayaking and more.. 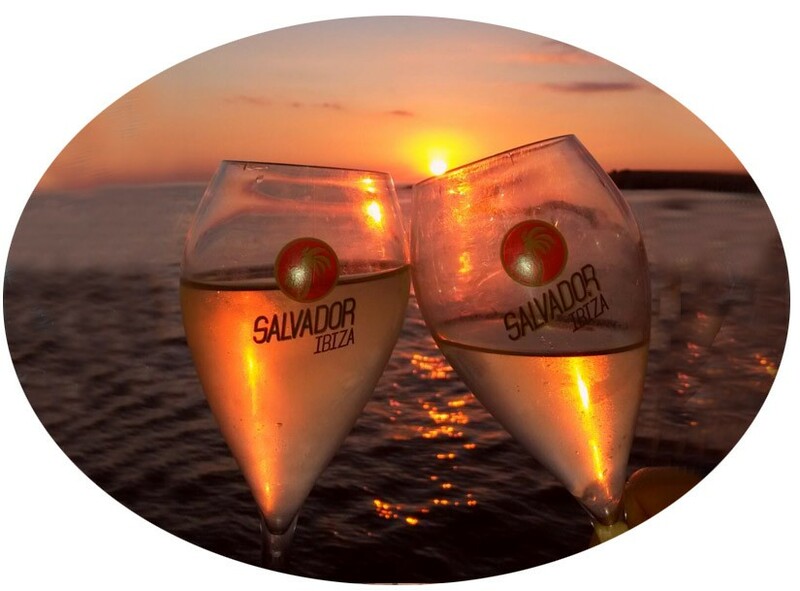 If you are the adventure-seeking traveller, take advantage of all the action-packed activities on board Salvador! Sail, snorkel, kayak, use the stand-up paddleboards to the caves - there is something for everyone. If you'd prefer to relax, you can lie back = on the spacious decks and enjoy the sunshine. A great option for young couples and single travellers alike and ideal for those seeking fun and adventure. With value for money, no crowds and an exciting itinerary, Salvador continues to be a popular choice for travellers! Because of the small group size and the boat layout, the trip offers a relaxed and social settings perfect for making new friends and great for couples. Join us for relaxing excursions visiting beautiful areas of our island paradise, allowing time for swimming, snorkelling, Kayaking, Paddle boarding, the sunset or just sit back relax and enjoy the view with a cold drink in hand. Sail with the Salvador and experience the best chilled boat trip on the island viewing ibiza's amazing coasts,caves and bays. The ultimate way to see, feel, live & host Ibiza. 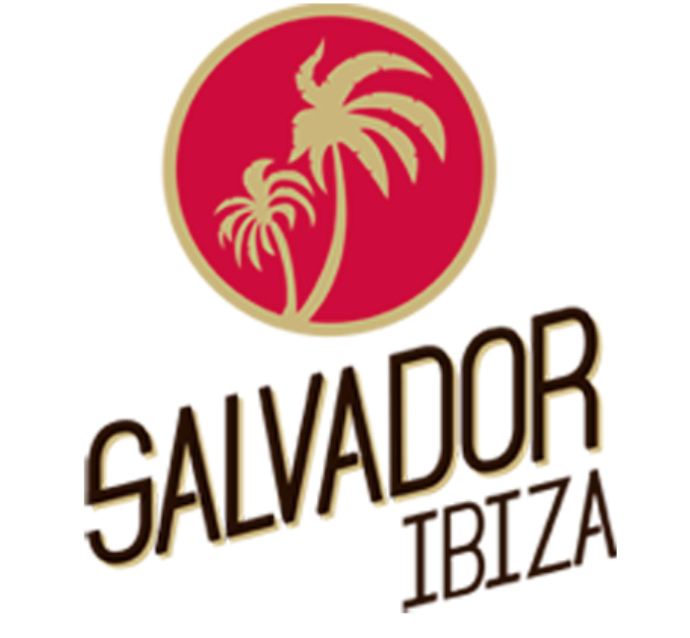 Virgin coves, secret beaches, soaring cliffs, azure green water teeming with Salvador Ibiza. 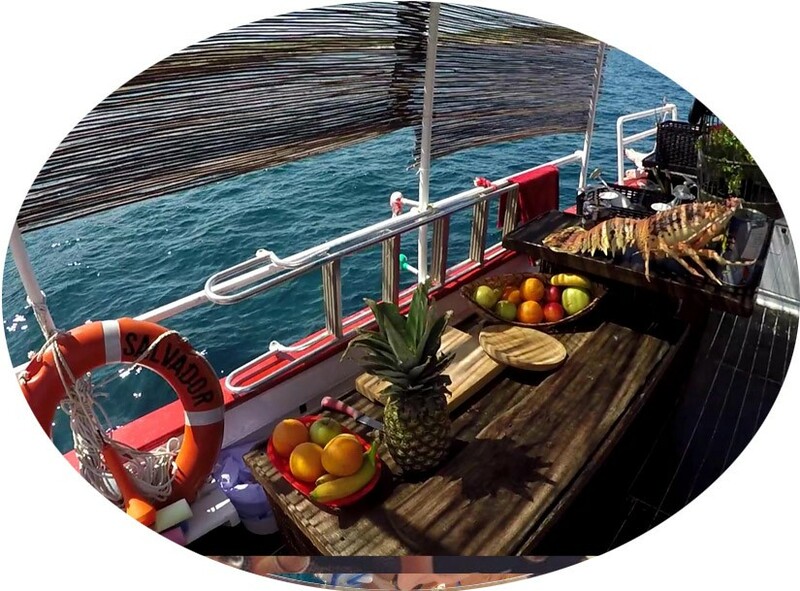 On board you will find fresh cut fruits, Open bar Drinks, Satellite, Wi-Fi and Bluetooth connected MB Quart sound system, wet bar, super-cooling system. Relax on our lounge beds with sun, shade or faded sun options. Perfect for a lazy time at sea, cruising the coastline, listening to music and enjoying a few drinks! 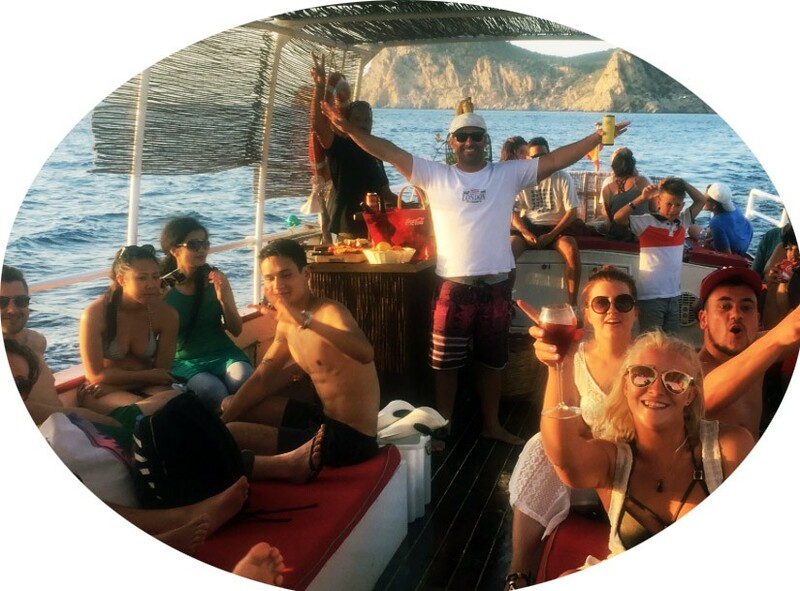 The charter departs from the sunset coast of San Antonio and heads along the stunning West coast of Ibiza and can includes local beauty spots such as Cala Bassa, Cala Conta, Cala Tarida, Isla Margarita or Cala Salada! Enjoy sunbathing on board, before dropping anchor in different coves and at beautiful beaches where snorkelling, paddle boarding and swimming can be enjoyed. 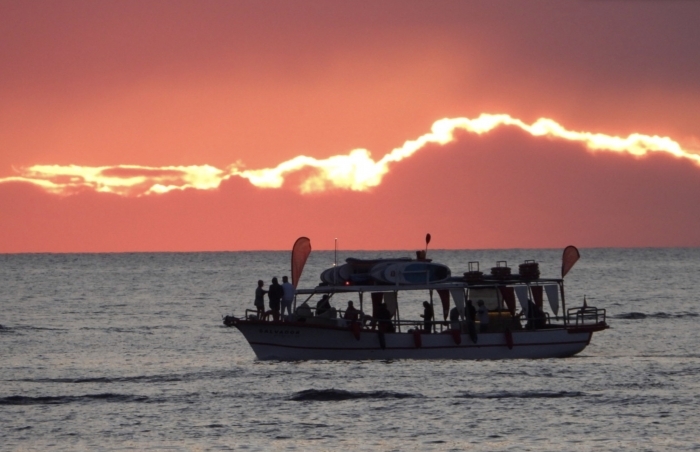 If you opt for the sunset slot then you will enjoy a unforgettable and magical sunset outside Café Del Mar / Mambo.